This video is about Infinite Jest - Caricature and Satire from Leonardo to Levine. It highlights some wonderful drawings in different styles about different topics - ribbing museums and those that go to see art exhibitions being one of them! I loved the pictures of people crowding around the shops of printers and publishers to see the latest caricatures. The video relates to a new exhibition of the same name at the Metropolitan Museum of Art in New York which runs until 4 March 2011. The exhibition explores caricature and satire in its many forms from the Italian Renaissance to the present, drawn primarily from the rich collection of this material in the Museum's Department of Drawings and Prints. 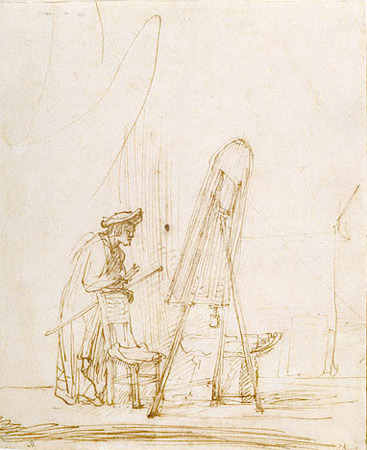 The show includes drawings and prints by Leonardo da Vinci, Eugène Delacroix, Francisco de Goya, Henri de Toulouse-Lautrec, and Enrique Chagoya alongside works by artists more often associated with humor, such as James Gillray, Thomas Rowlandson, Honoré Daumier, Al Hirschfeld, and David Levine. Many of these engaging caricatures and satires have never been exhibited and are little known except to specialists. Posted by Making A Mark on Thursday, September 29, 2011 3 comments Who's linking to this post? Apart from the fact that this was the very first time the exhibition has been in London, the changes I noticed this year were as follows. Posted by Making A Mark on Tuesday, September 27, 2011 0 comments Who's linking to this post? Last week I reviewed the Threadneedle Exhibition. This week, like the jurors for the Threadneedle Prize and as I did last year (see My Threadneedle Prize shortlist), I'm going to share with you the seven works that I've selected as worth highlighting in 2011. 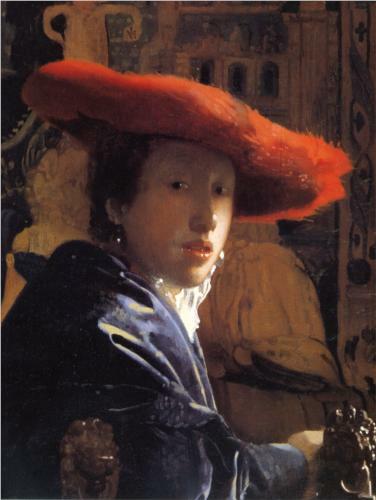 There are no explanations of the works in the catalogue - except for those selected by the Panel. While I understand this keeps the number of pages to a minimum it would be interesting to be able to read about the different works - particularly now that all works in the exhibition are eligible for the £10,000 Visitors Choice Award. Posted by Making A Mark on Monday, September 26, 2011 0 comments Who's linking to this post? 25th September 2011 - Who's made a mark this week? This week I got to see two exhibitions on Wednesday - and I've still to complete the write-ups as I've been out and about and busy since then. plus accessories for use with the art media. Posted by Making A Mark on Sunday, September 25, 2011 2 comments Who's linking to this post? Categories art, art blogs, Art Business and Marketing, art supplies, artist, drawing, exhibition, painting, photography, who's made a mark this week? 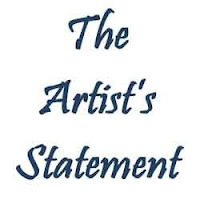 An Artist's Statement is essential - but lots of artists dread writing a statement about their art! UPDATE - Video #2: Ilaria highlighted another video in the comments and this is also worth taking a look at - yet another artist having an ironic view on the topic of constructing an artist's statement]. All of these links have been added into my very popular resource How to Write an Artist's Statement [updated link] which attracts huge traffic round about the time fine artists graduate - but there's no reason why students should not look at it earlier in the academic year! Posted by Making A Mark on Saturday, September 24, 2011 15 comments Who's linking to this post? my comments on the exhibition in general - which have been a challenge to write this year! Tomorrow you get my select seven - which is the seven works I would have selected. You can see the Threadneedle Exhibition at the Mall Galleries until 8th October. If you visit before the 3rd October you can vote for the best artwork in the show - and all selected pieces are eligible for your vote. Posted by Making A Mark on Thursday, September 22, 2011 6 comments Who's linking to this post? At the beginning of August I started a new blog - makingamark a daily photo - which focuses on my photography. I'd greatly enjoyed uploading photographs to this blog while I was on holiday in France and readers seemed to enjoy them too - so I wondered how I could continue. The fact of the matter is I take masses of photos - I now have many thousands of them archived on two Flickr accounts! I rather suspect I'm far from unusual in terms of people who relate to visual images a lot. I then noticed that I was practising composition and design with a lot of the photos I was taking - and photography became a new way for me of exploring how to create an interesting image. 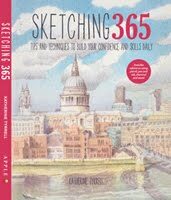 It's a photographic sketchbook if you like. That's when I got very interested in macros and started looking for subject matter which provided interesting structures and colours. Then, as digital cards came along, I found I just really enjoyed taking photographs - and took more and more - and more. It's not unusual now to arrive back from a day out with a couple of hundred photos to be processed. So the new blog is about releasing some of my photos into the public arena - but the focus is much more about creating pictures rather than about taking photographs per se. Hence most photos come with a short comment about image-making or something I noticed when taking the photo. Makingamark - A Daily Photo is about creating pictures rather than photography per se. It's all about the process of seeing, selecting and creating a personal visual identity. My photographs are from the past and the present - from here and there - within the UK and abroad. Each day a photo is uploaded to an alphabetical oriented post. - directing the focus of my art. In order to provide some structure and discipline for the blog, I've adopted a routine of posting a photograph each day guided by a letter of the alphabet. Tomorrow I will have completed two complete cycles of the alphabet and will be embarking on the third - and I've only missed one day so far! The reason I'm keeping it up is because I'm finding it to be a fascinating learning process. I'd be very happy for people to join me in posting with an alphabet routine to their own photo blog if you're interested. Drop me a line if you want to do something similar. Posted by Making A Mark on Wednesday, September 21, 2011 1 comments Who's linking to this post? 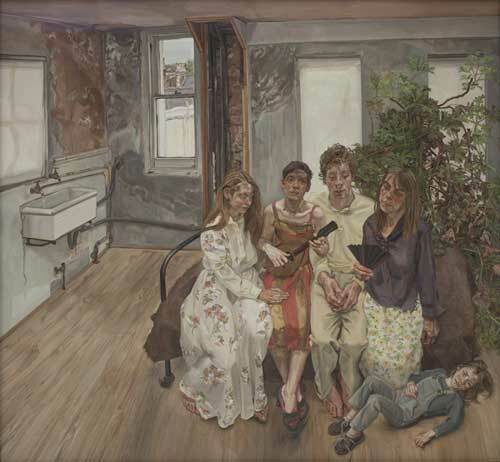 Private Collection, Ireland © Lucian Freud. 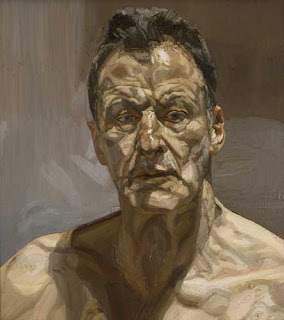 The Lucian Freud Portraits Exhibition which opens at the National Portrait Gallery in February 2012 will include Lucian Freud's last portrait. The exhibition is the result of many years planning in partnership with the late Lucian Freud who died on 20 July 2011. It's also the most ambitious show of his work in ten years. Concentrating on particular periods and groups of sitters to show Freud’s stylistic development and technical virtuosity, the exhibition will include both iconic and rarely-seen portraits of the artist’s lovers, friends and family. Described by the artist as ‘people in my life’, these portraits have been selected to demonstrate the psychological drama and unrelenting observational intensity of his work. Posted by Making A Mark on Tuesday, September 20, 2011 0 comments Who's linking to this post? How do you earn the title of "artist"? This is a simple question with no suggested answers - and probably no one right answer either. However I have included a few prompts by way of related questions. I've used numbers for the prompts so that it makes it easier for people to reference which point they're responding to. Is "artist" a title or a description - and what's the difference? Are you an "artist" just because you say so? Do you have to earn the title "artist? What entitles you to call yourself an "artist"? Do you have to learn to be an "artist"? Do you need to be skilled to be called an "artist"? 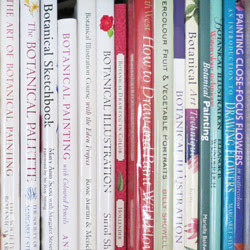 Do you need training to be an "artist" (just as a doctor or lawyer do before they're entitled to claim their titles)? Do you need to sell your work to be an "artist"? 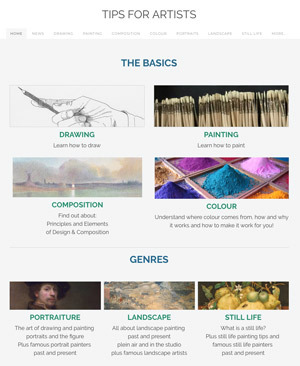 Do you need to be a professional full-time artist to be able to call yourself an artist? Does "artist" ever need to be qualified by terms such as professional, semi-professional and amateur? Do you need external validation to justify calling yourself an "artist? How do you know an "artist" when you see one? What makes an "artist" different to everybody else? Posted by Making A Mark on Monday, September 19, 2011 46 comments Who's linking to this post? 18th September 2011 - Who's made a mark this week? This weekend it's been Open House London weekend - and I came home feeling like I'd just been exposed to one of the most extreme visual experiences ever! We hopped on the Tube to the City of London, avoided the long queues to see the inside of the Bank of England and visited the artwork known as the Lloyds Building instead - for some absolutely fantastic views from the 11th floor. We also visited the Guildhall and Guildhall Art Gallery - which just happens to have a Roman amphitheatre in the basement - PLUS for this weekend only one of the 13th century copies of Magna Carta AND an exhibition about Atkinson Grimshaw which opens tomorrow. Atkinson Grimshaw - Painter of Moonlight is on display until January. I came home with the catalogue and will be returning for a visit to the exhibition. That's how I found out a night sky is a pale shade of chromium green! Posted by Making A Mark on Sunday, September 18, 2011 1 comments Who's linking to this post? Categories art, art blogs, Art Business and Marketing, Degas, drawing, exhibition, exhibition review, making a mark, painting, who's made a mark this week? Each year, the BP Visitor Choice competition offers visitors to the BP Portrait Award the opportunity to vote for their favourite portrait in the exhibition. This year, a record 28,532 votes were cast between 16 June and 4 September 2011 - nearly 10 per cent of all 298,114 people who had visited by close of votes cast their vote. The public have continued to display their enthusiasm for very realistic "big head" portraits - although in this instance I think they've been very impressed by the skill of the painter. 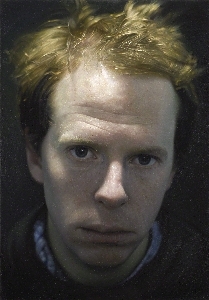 Jan Mikulka won the BP Visitor Choice with his portrait of his friend Jakub Wagner, whom he has known since childhood. With the portrait Jan aimed to: ‘capture his sensitive nature at a short distance.’ The portrait also offered the opportunity to experiment with a range of light effects in Jakub’s hair and skin tones. Jan gained a master’s degree from the Academy of Fine Arts, Prague and now works as a documentary film maker. He has exhibited his art in exhibitions in the Czech and Slovak Republics. I spent a long time looking at Jakub by Czech artist Jan Mikulka. Although it's photo-realistic - which I'm not a huge fan of - I was very impressed by his handling of the very subtle and subdued limited tonal range in the large area of the face which is in the shade. I'd love to know how he works. If he submits again next year this one will be remembered. There's no actual prize as such - just the kudos from having won - hence this post aims to amplify that a bit! Posted by Making A Mark on Saturday, September 17, 2011 1 comments Who's linking to this post? I've had the experience before now of making a special pilgrimage to an art gallery or museum to see a pastel by Degas - only to find that it's off on its travels to an exhibition somewhere(!) or it's in the process of restoration (the latter being what happened last time I visited the Musee d'Orsay). Sooooo frustrating! 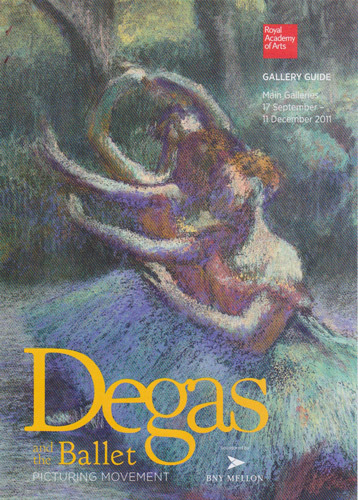 So if you enjoy pastels works and art by Degas you should definitely make a point of seeing the exhibition! Pastellists may well enjoy the notes of insights below into Degas's process of working. 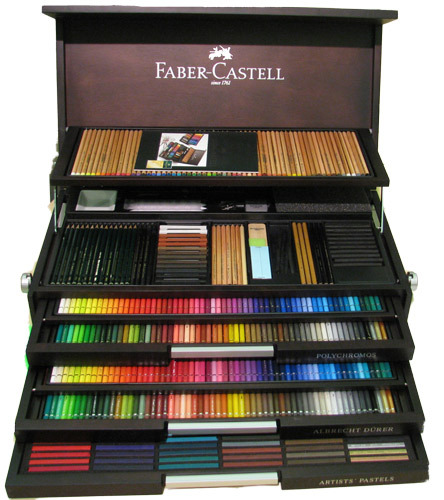 Like any good pastellist I had to ask some of the more obvious questions! Posted by Making A Mark on Friday, September 16, 2011 6 comments Who's linking to this post? One of three major Art Exhibitions in London this Autumn is at the Royal Academy of Arts. Degas and the Ballet: Picturing Movement opens this Saturday (17 September) and continues until 11 December. This exhibition has assembled around 85 paintings, sculptures, pastels, drawings, prints and photographs by Degas - from public institutions and private collections in Europe and North America. You can see ten images of works in the exhibition on the Royal Academy website. The artwork on display includes both celebrated and little-known works by Degas, including the sort of preparatory drawings which were never intended for either sale or exhibition. Rather the latter were a way of Degas assembling a pictorial record over time of how the movement in ballet actually worked. Also included in the exhibition are photographs by his contemporaries and examples of early film and a number of photographic records and artefacts normally found in a museum. The exhibition aims to offer an insight into the process of how Degas viewed and recorded the movement of dance and dancers in order to create pictures of movement in his drawings and paintings of dancers. There have been a number of exhibitions of Degas and the Dance before - as one might expect - but none which have attempted to articulate its connection with photography and it's believed this exhibition is unique. I went to see it on Tuesday and can certainly recommend it as an essential exhibition for all fans of Degas's art and anybody interested in the early development of photography and its connection with art. Fans of Degas should also note that this exhibition is not going to be travelling. It's been four years in the making and is ONLY being held at the RA in London. I guess because many of the pieces are drawings which conservationists prefer to see have limited exposure to light and air; many have also come from private collections - and in the case of one notable oil painting of a dancer being photographed in a studio - from the Pushkin Museum in Russia. There's an awful lot to like about this exhibition. There are some splendid paintings - including some on loan from other countries that we are not likely to see again in London in my lifetime. The curators are to be congratulated for securing the works they have. 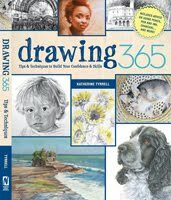 There's also some painstaking research which has contributed to a better understanding of how drawings and photographs connected through to some finished work. 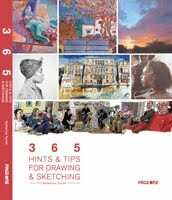 However, being a major Degas fan and somebody who has studied him in some depth, I have to say that I was disappointed by some of the aspects of Degas's which are left undeveloped or omitted in terms of some of the conclusions being drawn. I'll elaborate as I continue with this review. Posted by Making A Mark on Thursday, September 15, 2011 2 comments Who's linking to this post? 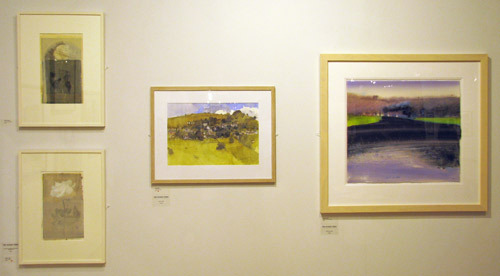 I visited the 24th Sunday Times Watercolour Exhibition at the Mall Galleries yesterday afternoon. I came away thinking that maybe there needs to be different way of selecting for this exhibition. This notion of the scope for changing the way the selection works was generated by an innovation this year. The prizewinning artists were asked to display a selection of their works in the East Gallery - it created, in effect a small group exhibition. I thought this was an excellent idea and I hope it will be repeated if for no other reason than it might stimulate more entries and serve to make the selector's judgement more acute. I'm guessing that anybody who sees it will not disagree with what I'm going to say next. Seeing a body of work together, one was immediately impressed with those artists who displayed consistency both in terms of topic, style and execution. 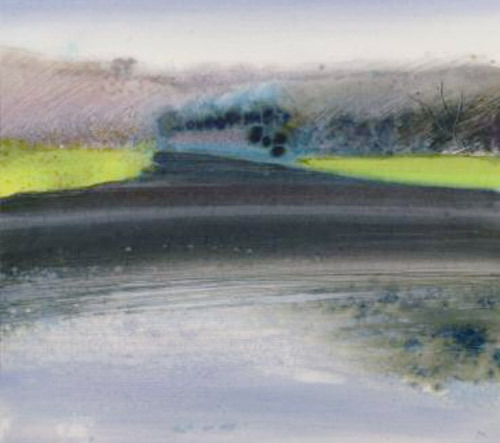 I'm guessing that it won't be long before emerging artist Jonathan Pitts, who paints his watercolours plein air (as reflected in the titles) and won second prize, lands a gallery which wants another budding Kurt Jackson. Equally, one could appreciate why both Denis Roxby Bott and June Berry are both members of the Royal Watercolour Society. At present, the Sunday Times competition still selects from actual paintings which all have to be transported to London - which is hugely expensive for artists. In the current economic climate this deters a lot of artists from submitting excellent work. I wonder whether the exhibition could possibly be improved if, in future, it initially screened and selected from a digital submission of digital images of a body of work (no more than six pics) - from which one work was then selected for exhibition and transport to London. 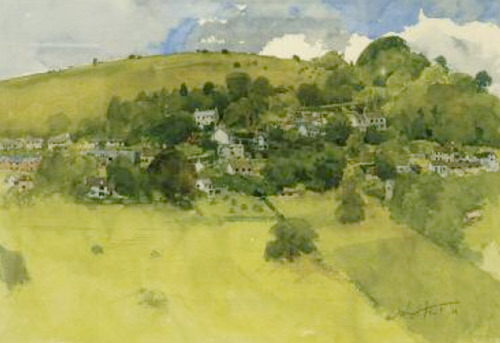 Seeing a body of work together is an excellent way of identifying great watercolour artists. Which is a very long way round of saying I was disappointed, for the second year running, by the entry which won the competition. It's a nice enough painting and certainly warranted being in the show - but first prize....? I also know I'm not alone in holding that view. I don't feel as negative this year as I did about this exhibition as I did last year (see Review: Sunday Times Watercolour Competition 2010 for a post I was loathe to write but which deserved to be written). There was a lot more work this year which I was happy with. To my mind there's still too few "wow!/blew me away" pieces - and my basic argument is that - for a competition of this type and reputation - there really should be an awful lot more of these sort of works. Posted by Making A Mark on Wednesday, September 14, 2011 9 comments Who's linking to this post? The exhibition is at the Mall Galleries and has a free entry. These are the exhibiting artists who are taking part in demonstrations between 11am - 4pm daily for the rest of the week. Posted by Making A Mark on Tuesday, September 13, 2011 1 comments Who's linking to this post? Eligible work had to be handmade. Drawings, paintings, sculptures and photographs were all admissable. Posted by Making A Mark on Monday, September 12, 2011 3 comments Who's linking to this post? 11th September 2011 - Who's made a mark this week? We've always known that art can provide a means of creating public memorials. Yesterday the new National September 11 Memorial at Ground Zero was dedicated and tomorrow it opens - 10 years after the events in the USA on September 11 2011. This is a link to the website for the 9/11 Memorial. Click this link to an animation about the new memorial which illustrates how the footprints of the twin towers are marked out forever. 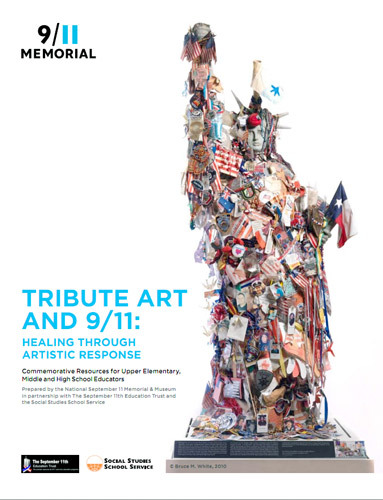 In the aftermath of the attacks, many people chose to respond through a range of artistic channels as part of the healing, recovery, and rebuilding process. In studying these responses, we learn how art is not only a means for self-expression, but can also serve as a vehicle for community-building and personal growth. Veronica Lawlor - Ten Years Later - posted sketches she did on that day. Veronica was drawing one of the towers as it collapsed. She recommends visiting September 11th Words and Pictures to purchase the memorial book of drawings from 9/11. Posted by Making A Mark on Sunday, September 11, 2011 4 comments Who's linking to this post? Categories art, art blogs, Art Business and Marketing, Art Galleries and Museums, exhibition, exhibition review, makingamark, opinion poll, who's made a mark this week? 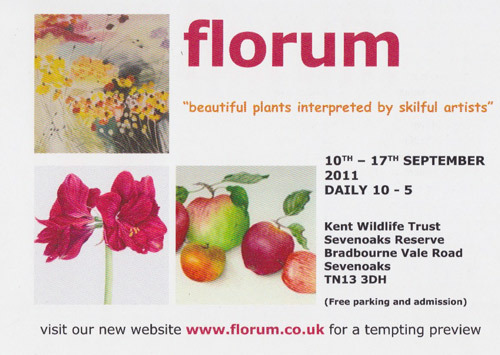 Florum is about "beautiful plants interpreted by skilful artists". I went to the Private View of their Annual exhibition yesterday held appropriately at the Sevenoaks Wildlife Reserve in Kent. 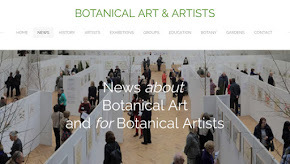 Some 62 invited artists are displaying their work inspired by plant life. All works are for sale and the exhibition raises a goodly sum towards the work of the Reserve. 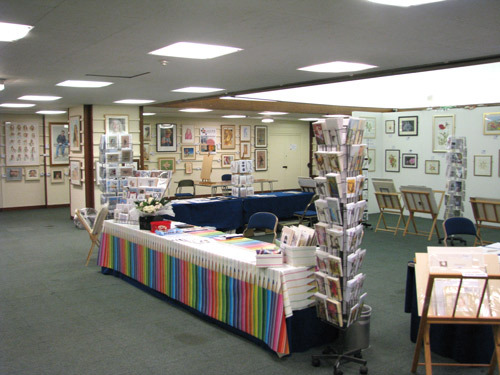 You can see examples of the artists exhibiting on in three galleries on the website: gallery one; gallery two; and gallery three. Posted by Making A Mark on Saturday, September 10, 2011 1 comments Who's linking to this post? Six of the seven artists shortlisted for the £25,000 Threadneedle Prize 2011 are women! This follows on from the track record of female success to date - see my post back in May - Three women artists win Threadneedle Prize in first three years. The artist who wins the Threadneedle Prize will receive a prize of £25,000 and each runner-up will receive £1,000. The selectors have already chosen the winning artwork. The winner will be announced at an awards ceremony on Wednesday 5 October. The Threadneedle Prize is the UK’s leading showcase for contemporary paintings and sculptures that promote the practice of representational art, but challenge its language and assumptions. All works in the exhibition are sourced through open submission and this year the selectors reviewed a record of 4,350 entries, more than double the number received in previous years. I'm ecstatic to hear that this year - for the very first time in the short history of this competition - the £10,000 Visitors’ Choice prize can be won by any one of the 52 works on display, including the shortlist. In other words it's a genuine Visitors' Choice and the work which receives the highest number of public votes during the exhibition will win the prize. If the public vote coincides with the selectors’ vote, one artist will win a total of £35,000. That would make The Threadneedle Prize potentially the most valuable art competition for a single work of art in the UK. The exhibition will be on display at the Mall Galleries from 22 September to 8 October 2011. Do let me know what you think of the work. Are you planning to visit the exhibition? Posted by Making A Mark on Thursday, September 08, 2011 4 comments Who's linking to this post? 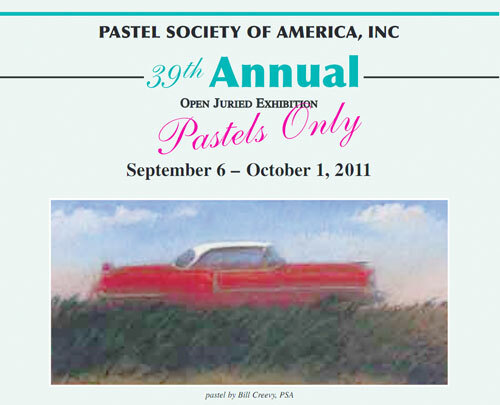 Yesterday the 39th Annual Exhibition of the American Pastel Society opened at the National Arts Club in New York City. There are no images as yet of paintings included in this year's exhibition on their website as yet - however they should be posted at some point. It seems unlikely that this will be until after the Awards Ceremony on 25th September at 4pm - which is followed by an Awards Dinner in the evening. 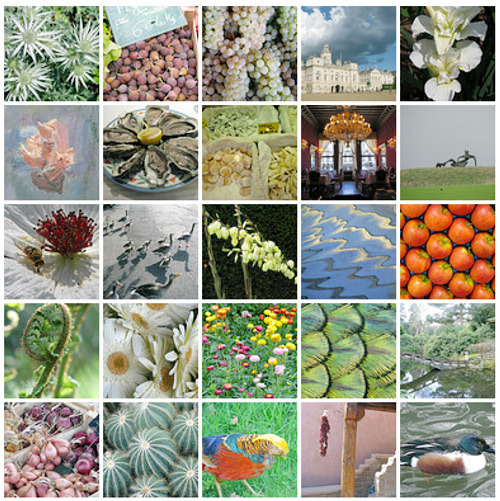 UPDATE: You can now see the works by the prizewiining artists in 2011 - who are as detailed below. Posted by Making A Mark on Wednesday, September 07, 2011 1 comments Who's linking to this post? First of all, gone is the "sort" of results which allowed you to look for "best selling" and in comes a new "sort" category called "popularity". It's anybody's guess at the moment as to what this actually means - and whether it is to take account of those books which are free downloads. Presumably this is also to differentiate books listed according to this "sort" from the completely separate "bestsellers" listing. One of the challenges of doing my list was that they were always capable of delivering two different results! I imagine the term bestsellers will in future only relate to books which are SOLD! Second - the "sort" which gives you the books ranked by "average customer review" now no longer ranks books according to the quantity of reviews and the star ratings given. In fact I can find no obvious ranking at all. Which means I have to look through lots more pages to make sure there's nothing lurking. If this change is intended to make the reviews which count the ones which are more current, that would make more sense. However I don't think it does! There's just no obvious logic to it. 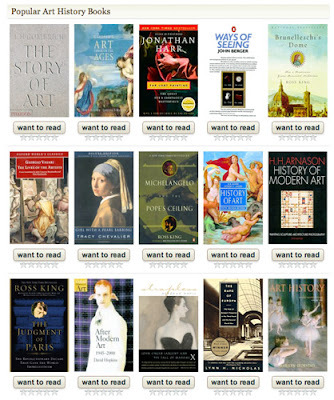 I cannot tell you how much I'd dearly love to get my hands on the database design for Amazon Books and give it a radical shake up and make it much more rigorous and reliable. I am still totally exasperated by how totally c****y the categorisation is and the fact that so many books are in totally the wrong category. I'm now experimenting with a different way of tackling and triangulating the question of "top rated". I'm not going to do it on the number of reviews. Rather, in very broad terms, I'm looking for the highest average for any book which has had a decent number of reviews - which is likely to be a figure which will vary depending on the topic. That way we should get back to something that is highly rated - rather than rated by a lot of people - or the Amazon alternative which is a complete nonsense. I'll say more when I'm more confident that the approach I'm using is producing reliable results. I've got a nasty feeling a spreadsheet is in the offing to keep track of the various different sources! 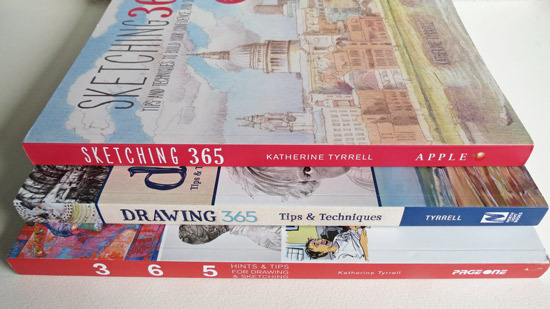 Wolf Kahn fans will like the Best New Art Books last month! 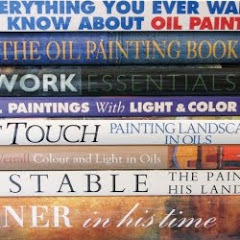 Plus the painting section is dominated by UK authors. I've already bought one of these! Posted by Making A Mark on Tuesday, September 06, 2011 0 comments Who's linking to this post? 4th September 2011 (+1) - Who's made a mark this week? When we stood in the front street, we could see huge clouds of billowing smoke. There wasn’t even enough time for them to take more than their computers. I backed my car through their front yard and up to Carol’s studio, but we didn’t take anything more than a few small paintings of Carol’s. They lost all her art that filled their house. The good news is, we have fire insurance. I'm trying to think of more good news, but that's all I got. The UN has said up to 400,000 children in the Horn of Africa could die without aid and up to 11 million people require food assistance. I hope you are doing well. Carol and I are enjoying our 75th day of over 100 degree (38 C) here in central Texas! 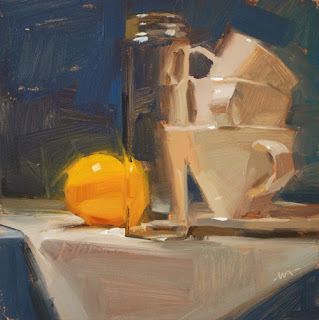 Notwithstanding what's happened to David and Carol - the auction is still up and running on the website that David built for Daily Paintworks. I'm sure they will be very happy if you choose to participate/contribute to either this appeal for support or the one highlighted on Jennifer's blog. Why not send them a message too maybe? This post is also late I've been on "community" duty over the weekend as the Olympic Borough I live in had a very large and very contentious demonstration and counter-demonstration on Saturday - with all Marches banned by the Home Secretary and 3,000 riot police on local streets to cope with the so-called "static demonstrations" which were anything but in the latter part of the day. Hence some considerable dislocation in my normal routine - not helped by helicopters hovering overhead, emergency vehicle sirens blaring on and off and on and riot police actively enforcing civil order in our local park - all of which added to the anxiety levels of local residents! I've taken to staring at house details in rural areas! Posted by Making A Mark on Monday, September 05, 2011 2 comments Who's linking to this post? 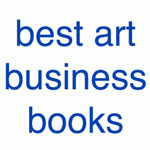 Categories art, art economy, colored pencils, drawing, exhibition, life events, makingamark, sketching, who's made a mark this week? 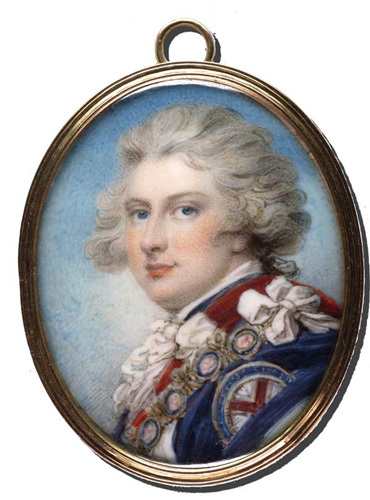 The Annual Exhibition of the The Royal Society of Miniature Painters, Sculptors & Gravers will this year have an additional Special Loan Exhibition of Royal Portrait Miniatures from Queen Elizabeth 1 (1533 - 1603) to Queen Elizabeth II (1926-present). I gather news of it is triggering miniature artists and collectors to book airtravel to London from all over the world! Posted by Making A Mark on Friday, September 02, 2011 5 comments Who's linking to this post? POLL: What makes somebody buy a painting? It constantly intrigues me as to what makes somebody want to buy one painting compared to another. I wonder how often you also ponder on what makes artwork sell? It seems to me as if everybody has an idea of what makes a painting that somebody will buy - but do we ever try and articulate it? At one extreme, we can have artists who will produce paintings just for themselves "because this will never sell". While at the other extreme we have artists who have to produce artwork that they know has a very good chance of selling because they have to keep a roof over their head, hungry mouths to feed and bills to pay. Then we have people who say that paintings which make a point of featuring red will always sell (see addendum at end). Then there's the art collectors who will buy anything by an artist so long as it's a collectable name and it's got a collectable signature - and it really doesn't matter what it is! While the art tutors are always going on about important it is to stop the eye from moving out of the painting. So I sat down and made a list of all the things I could think of which makes people want to buy a painting. Posted by Making A Mark on Thursday, September 01, 2011 10 comments Who's linking to this post?